You will be redirected to a web form (as posted below). 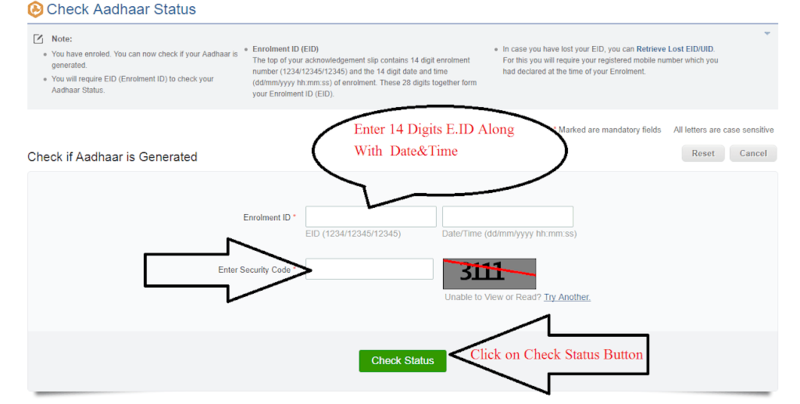 Where you need to fill some of the information such as Enrolment ID, Date / Time and Security code (CAPTCHA Displayed as in Screenshot). After Completing the form filling work. Please check it carefully then click on the Check Status button. 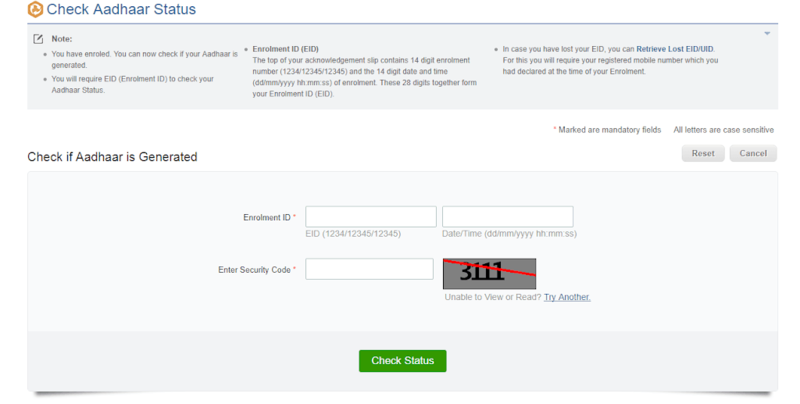 Then you will be redirected to the new page where you can find your Aadhar Card Current Status.